New Hampshire is a beautiful state filled with national treasures. With all the natural beauty of New England to offer, New Hampshire has a lot of incentive to consider solar energy as a renewable source of clean energy. As a homeowner, you also have a lot to gain from adopting solar energy, especially when you consider all the potential savings you could expect to receive. In order tocombat rising utility costs, consider this life-changing step towards becoming more self sufficient and green. 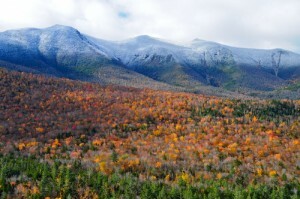 There’s a lot of beautiful places in New Hampshire to protect. And when you also consider how much solar energy could help you save each year, solar in New Hampshire simply makes sense. Think of how much money you waste from month to month on your utility bill. Solar energy can help you pocket some money each month instead. These savings can quickly add up. In some cases, you may even be able to turn a profit from this investment. There are lots of reasons to consider solar energy in New Hampshire. If you wish to know more, fill in our Solar Form. A friendly installer will walk you through your options. Don’t worry, it’s 100% free with no strings attached. New Hampshire has a pretty impressive RPS plan. An RPS, or renewable portfolio standard, calls for a certain percentage of a state’s energy to be produced by renewable energy sources. New Hampshire hopes to produce up to 24.8% or more of their energy from renewable sources by 2025, which isn’t bad when compared to other states. There’s always room for improvement though and it will be interesting to see how New Hampshire grows as it tries to meet its RPS. New Hampshire’s RPS calls for a solar carve-out of .3%. A solar carve-out indicates that a certain percentage of the RPS plan must be met through solar energy production. While it is good that New Hampshire has a specific solar carve-out, New Hampshire’s solar carve-out could be a lot stronger. It is possible to save a lot of money by going solar in New Hampshire. Many people find that they can save up to $495 a year on their utility bills alone by simply leasing a solar panel system. Wouldn’t you like to pocket the money you spend on your high electricity bills instead? How much you can expect to save depends on your unique situation so talk to a qualified solar panel installation team today. When considering the average 5kW PV system, there’s a lot you can expect to gain from going solar. Let’s take a look at a typical 5kW system: Installing a 5kW PV system will set you back about $25,000. Yep, that’s a large sum. But now, we get to include your incentives. Applying the state rebates and tax credits, as well as the 30% federal tax credit, include in your first year savings, and you’re looking at about $14,000 dollars of investment. Yes, we know, it’s a huge discount. that figures alone are worth exploring, we think. Within 10 years, the system should be able to produce enough energy to cover the initial investment. Over the lifetime of the system, you may even be able to turn a profit of up to $40,000 and add about $21,000 in property value to your home. The figures above are just an estimate. As your unique home, the best way to see how much you stand to save, and how much it will cost you is to talk to one of our solar partners near you. a friendly installer can answer all of your questions, and set you up with an exact price quote. And, it’s Free, and with no strings attached. When you consider how much you can expect to gain and all the incentives in your area, this is an investment you don’t want to miss. A solar system may be a hefty investment but over the long run there are a lot of benefits you can enjoy. Depending on your situation, you may turn a handsome profit. And when you consider rising energy costs, there’s never been a better time to switch on the solar panel and begin producing your own energy. As a resident, you already know that utility costs can be high and restrictive. You may be paying up to $.18/kWh. This is higher than the national average. And your utility bill can be one of your biggest expenses each month. This can all change with solar energy, allowing you to start pocketing this money instead. New Hampshire currently offers a statewide solar rebate program. Under this program, you can expect to receive up to $1,250 per kWh with a cap of $3,750 or 50% of the project’s cost or whichever costs less. While funding is sometimes limited, meaning you’ll have to wait on a waiting list, this can be a great way to save some money on your panels. Since there is no income tax in New Hampshire there is no state solar tax credit to redeem. However, you may still be able to benefit from the 30% Federal solar tax credit if you act quickly. This tax credit, which is set to run out in 2016, is available now for systems installed before or in 2016 and covers 30% of the PV system cost. If you would like to take advantage of this tax credit, hurry. In New Hampshire, property tax exemptions are based on your local area. Towns and cities are able to decide whether they offer a property tax exemption. When you consider the fact that a solar panel system can appreciate the value of your home by about $25,000, these exemptions are appreciated. Over 80 towns and cities currently offer a solar panel property tax exemption so get in touch with a qualified solar panel installation team to find out what you can expect to gain. What’s better than having a sales tax exemption on your solar panel installation? Having no sales tax at all. As it turns out, New Hampshire has no need for a sales tax exemption on solar, which many states offer in order to entice residents to install systems of their own, since they don’t have a sales tax in the first place. While New Hampshire does offer a rebate program and you can currently benefit from the Federal solar tax credit, obtaining a solar panel is still a hefty investment for many people. Luckily, there is afinancing option available for you that will allow you toobtain solar PV system for zero down. You can lease a solar panel system, which can be a fantastic option depending on your own unique situation. Is it Worth Investing in Residential Solar Energy in New Hampshire? Solar energy can be a fantastic investment in a variety of situations. Along with the utility savings you can expect, solar energy is a way to help protect the environment and become more self-sufficient. You may even be able to turn a profit from the energy your system produces. Why not chat with one of our trusted solar expert we work with? You can find out exactly what you can gain from leasing or buying and decide than. When you lease a solar panel system, you can obtain one for zero money down. By leasing a system, you’ll be responsible for whatever you will still draw from the electric grid and your monthly lease payments. Depending on the terms of your agreement, you may be able to laterpurchase your system once the lease expires. Most leases, on average, can last up to 20 years, which should be taken into account while considering a lease agreement. Also consider the rebates and incentives already available to you before you decide whether to lease or buy your system. In some cases, these incentives may not be enough for you to make the initial investment. You will only be able to take advantage of tax credits and rebates if you purchase the system, since you will not technically own the system if you lease it, so consider this before you lease or buy. Can I Lease the System in New Hampshire or Should I Buy it Instead? Whether you lease or buy your solar panel system depends on your own unique situation. By leasing a system, you can obtain a system for zero money down with the option to potentially buy and own the system for yourself later on down the road. 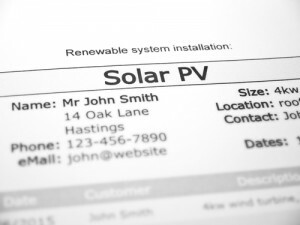 By buying a system, you will be able to personally benefit from rebates and tax credits and will be able to pocket all potential profits garnered by your solar PV quotes. All options should be considered before you take the leap. What About Net Metering in New Hampshire? Net metering can help you save big on your utility bills. But what is net metering? Net metering is a process that involves connecting your solar panel system to the general energy grid. This allows for your solar system’s energy output to be monitored. But there is one huge benefit you can expect from opening yourself up to net metering. This is how you profit from your solar energy system. 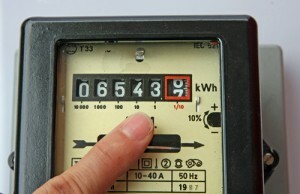 By net metering, all surplus energy produced by your system can be redeemed as credits towards upcoming utility bills. These credits are available indefinitely and can be redeemed at any time, which can be a great way to combat high utility costs during both the summer and winter, when you may need to draw extra electricity from the grid to account for air conditioning and heating respectively. On some service plans, your utility company may even cut you a check for annual payments if your energy output exceeds 600 kWh. Net metering is a great way to make your energy work for you and save money on your expensive utility bills. When it comes to producing your own energy and benefiting from it, there’s no better method to consider than solar energy. A solar photovoltaic system can help you extensively cut your utility bills, allow you to become more self-sufficient, and even allow you to do your part in saving the Earth by adopting a green and clean way to produce energy. And considering the fact that energy already costs you a steep $.18/kWh right now, having your own way to produce energy can help you combat rising energy costs. Rebates and tax credits can help you shave down the initial hefty investment involved with buying a 5kW solar panel system. Depending on your local area, you may even be able to enjoy a property tax exemption, which can really help when you consider that a solar panel system can add up to $25,000 in property value to your home. But even with tax exemptions, rebates, and tax credits to consider, buying a solar panel system can still be a hefty investment for most people. Thankfully, leasing your system is an option to consider and it will allow you to both obtain a system for zero money down and potentially buy the system once the lease expires. When you go with a net metering program, you can credit surplus energy towards future utility bills or, depending on the output of your system, receive annual payments from your utility company. Either way, net metering can help you save a lot of money especially over the long run. Over the course of 10 years, your system may be able to pay for itself. And over the lifetime of the system, you may even be able to turn a profit as big as $40,000. So why wait? Talk to our trusted installers we work with in New Hampshire today and find out what you can expect to gain from installing a solar panel system based on your own unique situation. Do your part to protect the Granite State and step into the future of renewable energy.